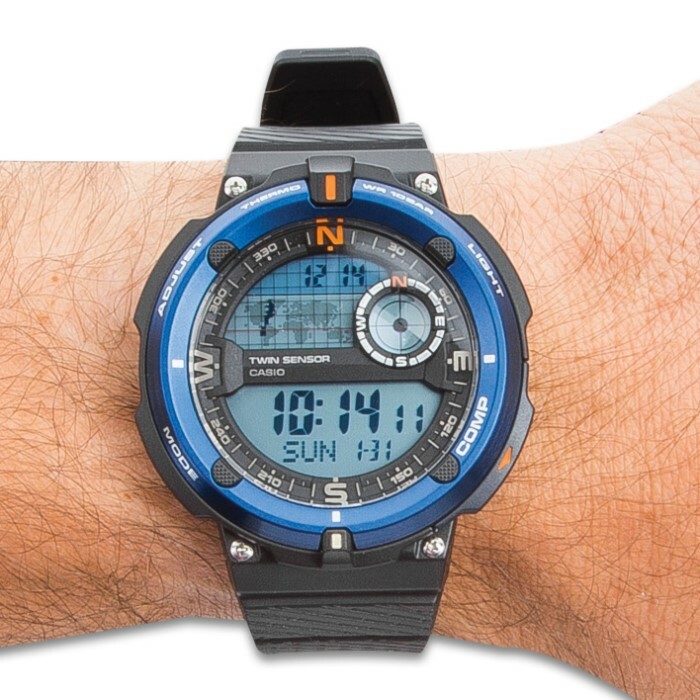 Core Sport Blue Bezel Watch - Digital Compass, Thermometer, Water-Resistance 100 m, TPR Band, EL Backlight | BUDK.com - Knives & Swords At The Lowest Prices! 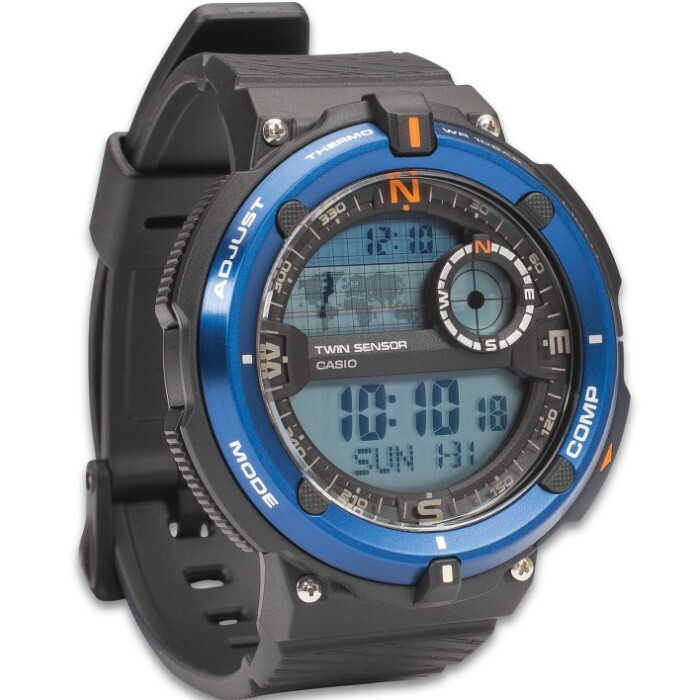 If you live an active lifestyle and need a time piece that can keep up, the Casio Core Sport Watch offers features that are key. 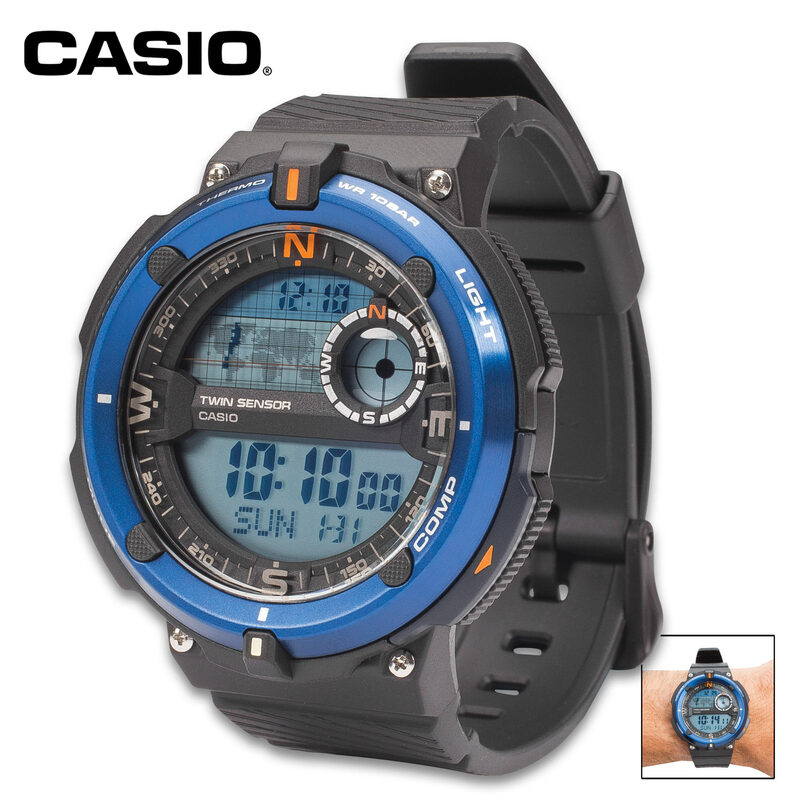 It has a built-in digital compass with bearing memory, thermometer, world time map display and is water-resistant up to 100 m. The measured values are shown clearly on the display, which has an EL backlight. The watch also has timekeeping, stopwatch, countdown timer and alarm modes. Anywhere you go this model will keep you on track and on time!